I like easy recipes. Especially during hectic weeknights. I’m not ashamed to admit it. When I find a really easy recipe or come up with one, I’m especially happy to share it so everyone can add the recipe to their collection. This one is a family favorite and I make it all different ways due to the wonderful creation of no boil noodles, they are foolproof. A must to check out in your market. 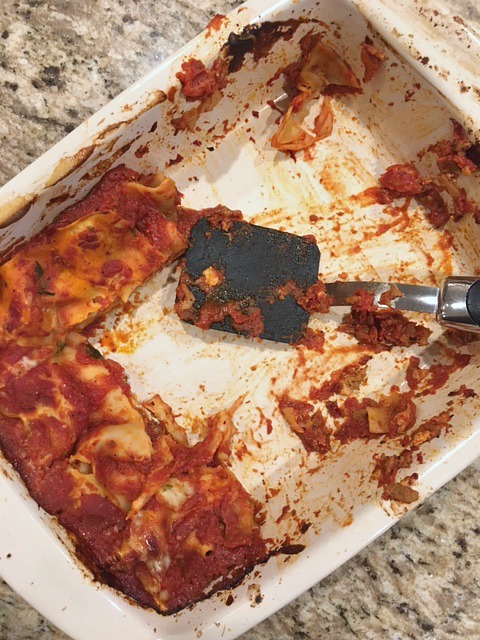 Try this tasty and hearty lasagna, I’m sure your family will really enjoy it like mine does. Great for parties and pot luck dinners too. 1/2 to 1 pound ground meat seasoned with onion and garlic powder, browned then drained. Preheat oven to 375 degrees, lightly mist a 13 X 9 glass or ceramic baking pan with cooking spray. Set aside for a few minutes. In a large mixing bowl, lightly beat eggs and add in 1 cup mozzarella cheese and 1/4 cup parmesan cheese. Mix until combined. Set aside. Pour about 1 cup sauce over the bottom of the baking dish. 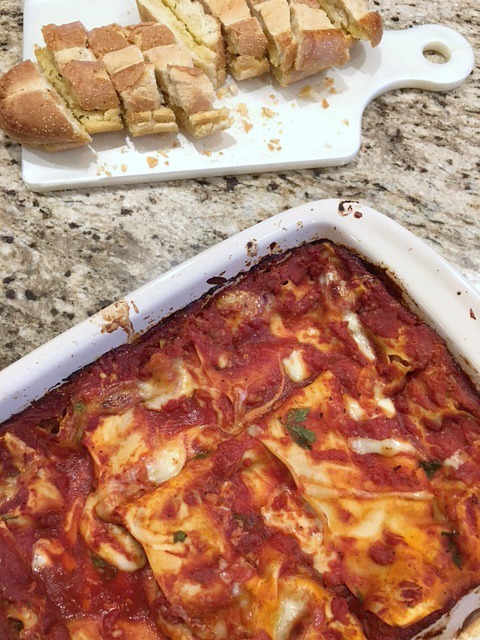 Layer 4 lasagna noodle over sauce. They will probably overlap. This is okay. Top with cheese mixture then meat mixture. Next, start with the sauce again that’s mixed with the 1/8 cup of water and continue until you finish and end with the extra mozzarella and parmesan cheese. Cover with foil tightly. First spray the foil that’s touching top of lasagna with cooking spray. I like using the non stick foil. See if you can find that in your market. Take off foil and let cook another 5 minutes until all cheese is melted but not burned. Let sit in pan for about 10 to 15 minutes for easy cutting. Leftovers can be stored in fridge up to 3 days and frozen up to a month.